Generally, glass cookware is safe to microwave. Per bakeware authorities with Anchor Hocking, all U.S. glass bakeware is made of tempered glass. Should it break, the tempering treatment should cause the glass to break into small chunks, not shards. However, when glass breaks due to extreme temperature change, it can explode outward. Is Pyrex Glass Microwave Safe? Can You Put Glass In A Microwave? 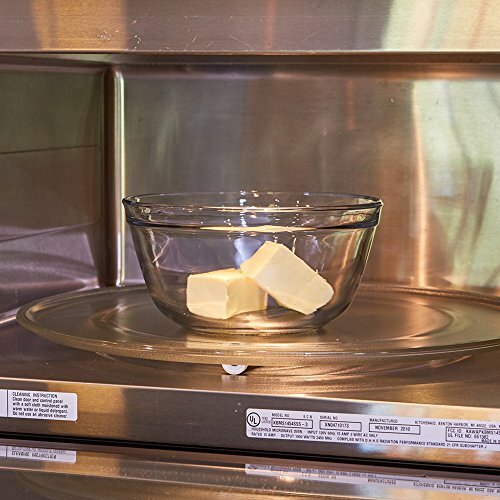 Are Glass Bowls Microwave Safe? There is concern that certain generations of Pyrex bakeware were not properly tempered. This lack of tempering caused the dishes to shatter when transferred from freezer to oven or microwave. Images of shattered Pyrex and subsequent burns and cuts are more than a little worrisome. As a general rule, glass and ceramic are safer in the microwave than plastic. Glass and ceramic are stable and will not leach into your food as plastic can. While bisphenol A is no longer a concern in most plastic food storage containers, such as Tervis containers, plastic can still be unstable when heated. Microwaves heat food by radiation waves, and they act first on water in food. If you are thawing something in the microwave, use low power until all the frost is off the food, then stir and blend the hot and cold as best you can. When possible, allow frozen foods to thaw in the container before placing it in the microwave. Wipe away any condensation on the pan before microwaving. If that’s not possible, allow plenty of time on low power for the dish to thaw slowly. Tempering is a step in the manufacturing of glass. To make glass bakeware, lime silicate, soda ash and sand are mixed and melted. Once the bakeware piece is formed, it’s rapidly cooled, or annealed. This cooling strengthens the glass, making it less likely to break under pressure or when dropped. It also impacts the pattern in which the glass will break if struck with extreme pressure. Annealed glass, is used in situations where shattered glass would be an extreme safety hazard. For example, car windows have been annealed for years, and are laminated with plastic to keep them from collapsing in on the car’s inhabitants. The window glass on your house is probably not annealed, as it doesn’t face the risk of extreme pressure on a daily basis. However, all glass is susceptible to shattering under extreme temperature changes. If sections of a glass bowl or container heat at different temperatures and the temperature stress grows stronger than the glass, the glass will break. This can be a simple crack or a violent shattering, sending hot food and glass flying. Glass that can go from freezer to stove top, oven or microwave demonstrates remarkable tensile strength. Because tempered glass is so much stronger than plain glass, it can withstand more tension across the span of the glass. Should that tension be overridden by the pressure of extreme hot spots vs. extreme cold spots along the same span of glass, it will break. This breakage can be violent. Avoid microwaving anything frozen rock hard. If this isn’t possible, microwave it on low and stir the food to disperse any contact points of extreme heat on the glass. Safety is everyone’s number one concern. Please share your stories and let us know what you think!